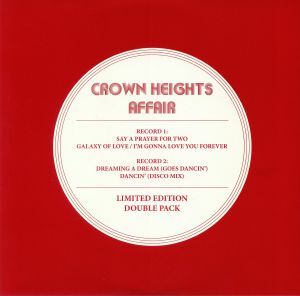 CROWN HEIGHTS AFFAIR Limited Edition Double Pack vinyl at Juno Records. 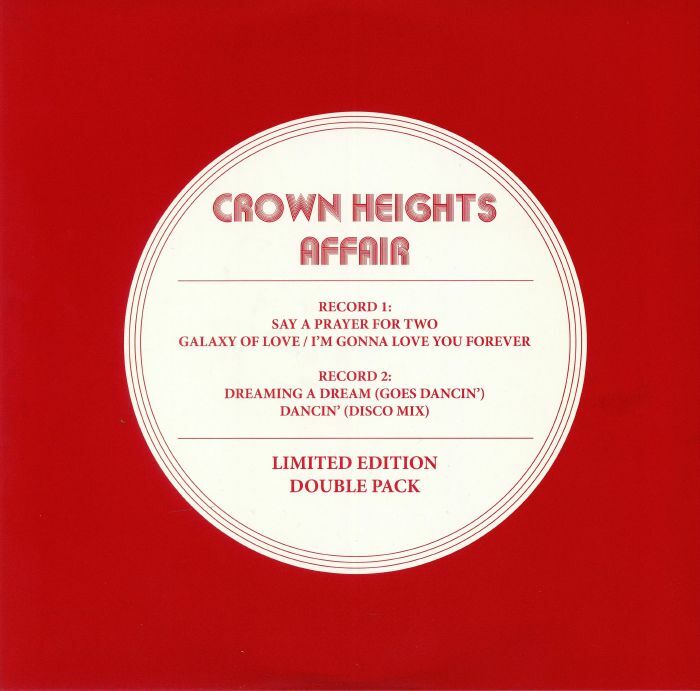 If you dig disco but have yet to explore the bulging back catalogue of De-Lite Records stalwarts Crown Heights Affair, this double-pack could be exactly what you need. 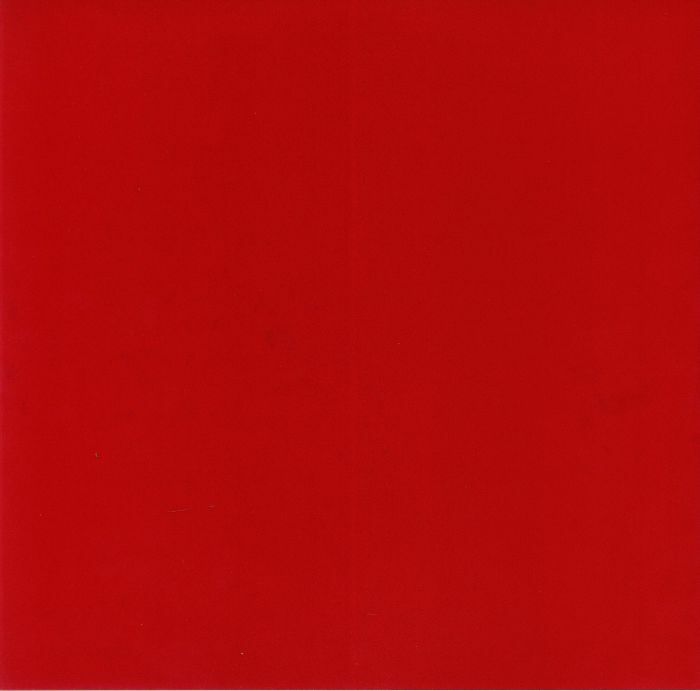 It draws together a quintet of the group's most potent and essential moments, beginning with the soaring mid-tempo brilliance of "Say A Prayer For Two". That sublime chunk of disco-funk perfection is followed by the buzzing horns, walking bass and high-register vocals of "Galaxy of Love" and the punchy disco stomp of "I'm Gonna Love You Forever", where relentless horns and spacey synth flourishes do their best to whip listeners into a frenzy. The second 12" offers another chance to own "Dreaming A Dream (Goes Dancin')" and the bouncy disco-funk epic that is "Dancin' (Disco mix)".